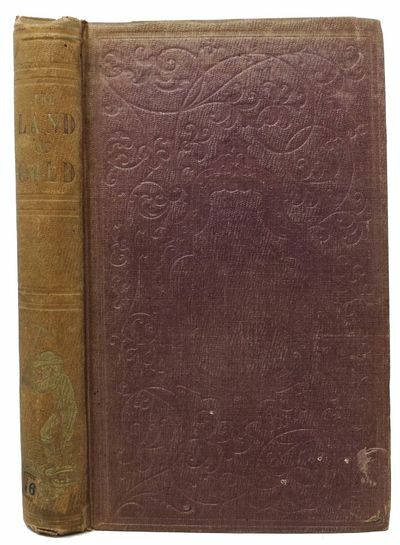 Baltimore: Published for the Author, 1855. 1st edition (Bradford 2222; Cowan II, p. 274; Graff 1848; Howes H-401; Kurutz 327; Rocq 15852; Sabin 31272). Brown cloth binding with eleborate blindstamped decorations. Gilt stamped lettering to spine with gilt illustration of a miner and pickax. Spine sunned, as are board edges. Remnants of number label at base of spine. Prior owner signature to ffep. Withal, a VG copy.. xii, 300, [6 (blank)] pp. 12mo, signed in 6s. 7-3/4" x 5"